Over the past several months my wife and I have been making our way through the Stars. Not really Trekkies or Jediists, we both came of age during the early days of Star Trek and the dawning of the original Star Wars. Both franchises have continued to grow and have become cultural markers in their own rights. We have survived all the episodes of Star Wars I through III, and have made it, so far through Star Trek V: The Final Frontier. As we switched off the DVD player, we mused that we hadn’t seen this particular installment (with good reason) since we had originally watched it together shortly after it came out. It has its moments, but it just doesn’t measure up to what Kirk and Spock can usually muster. Watching it as a somewhat jaded critic of space movies, however, its religious elements simply couldn’t be ignored. After all, this is the episode where they find God, then shoot him in the face. Opening with Sybok, the emotional Vulcan messiah, with a tacked-on identity as Spock’s brother, healing his first convert, the movie follows a typical kind of progression of a boy and his god. The town on Nimbus III (every Trinity watcher surely caught that reference) is named Paradise. Some wag painted the Miltonesque “Lost” after the town name on the gate through which Sybok rides like Jesus entering Jerusalem. Hijacking the Enterprise turns out to be remarkably easy, even with Spock, Bones, Uhura, Sulu, and Kirk in the shuttlecraft. And soon we’re off to the Great Barrier, which, as it turns out, is just a bunch of colored lights. When God appears, he takes the shape of a typical Terran, white beard and everything. When Sybok questions him he briefly turns Vulcan, but we get the sense that God is whoever you want him to be. He is definitely masculine, and he has anger issues. His Eden is a barren rock, and he feels trapped and requires a starship to get about. We are forced to conclude that this is no deity after all and life is but a dream. 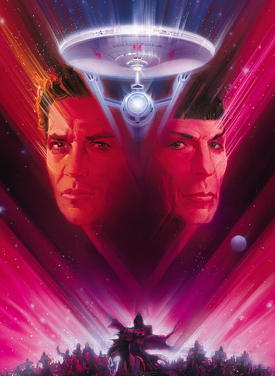 Despite its many disappointments, Star Trek V is a theologically aware movie. Its conclusion of science trumping the need for the divine leaves us with three old men around a campfire waiting to die. A trinity in its own right, but one where the only hymn to be mustered is “Row, Row, Row Your Boat.” And God lies dead at the center of the galaxy. With talk of resurrection in the air, it seems natural to turn to zombies. In this internet age the monster of choice seems to change from day to day, but since the turn of the millennium zombies have been a contender for popular favorites. In a world where many of us feel zombified by our work, this is no surprise. Late capitalist power structures drain the life, leaving only the shell. In a situation where zombies appear so frequently, it is difficult to keep current. 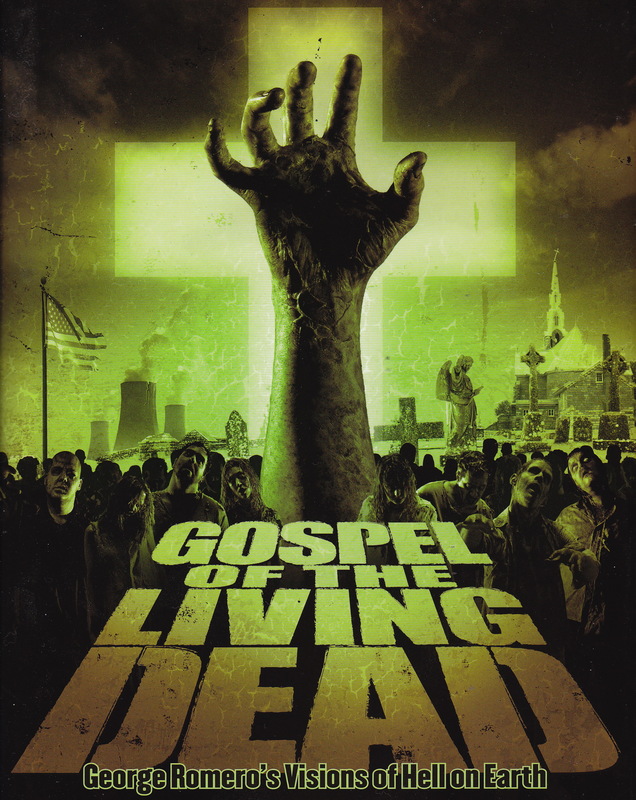 I bought Kim Paffenroth’s Gospel of the Living Dead shortly after it was published. Subtitled George Romero’s Visions of Hell on Earth, it saves itself from too my obsolescence by taking the narrative from Romero’s movies, and one remake, thus leaving room for the many other zombie movies to come and go. While it does make reference to 28 Days Later and Shaun of the Dead, most of the discussion stays pretty close to Romero, taking the reader through his quaternity of movies in the genre. Roughly paralleling Romero’s oeuvre with Dante’s Inferno, Paffenroth treats the movies theologically. Not surprisingly, sin and ethics play a large part in his analysis. The undead, after all, are not un-spiritual. As I read along, however, I often thought how a western Pennsylvania connection gives some insight into what Romero is trying to do. Perhaps we are in danger of over-reading without the context (what biblical scholars call isogesis, but which post-modernists call simply reading). For example, some of the place names are given a theological significance in Gospel of the Living Dead that some of us who grew up in the area recognize as just another town. This always comes home to me when watching Night of the Living Dead. The posse out to hunt zombies always reminds me of people I knew in high school. After all, the first day of buck season was a local holiday. Still, I have trouble seeing Romero agreeing with the dialogue revolving around sin. Yes, his first two movies were as much social criticism as they were horror. 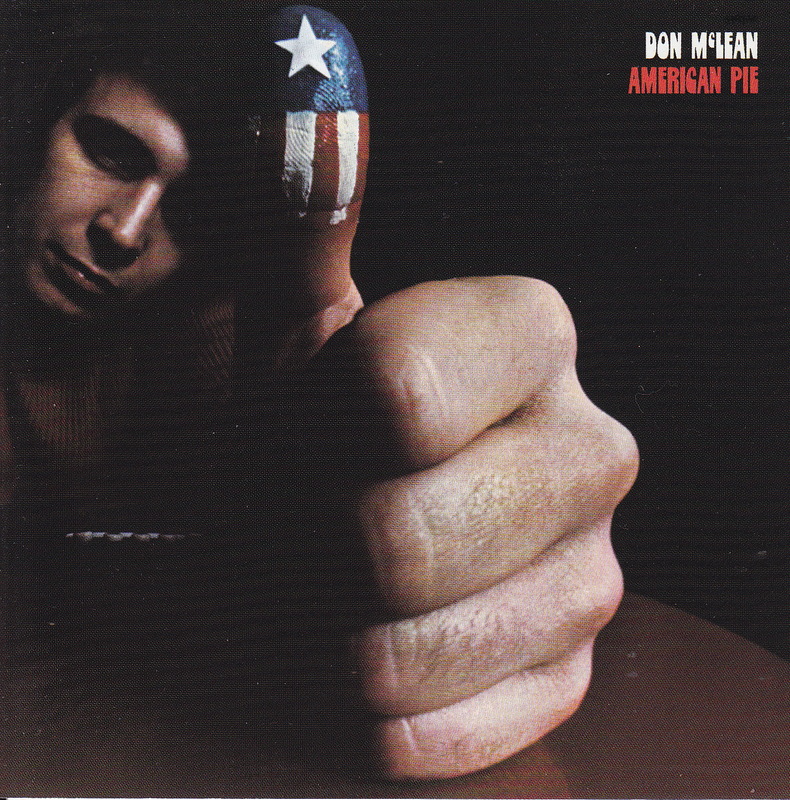 The Vietnam War and consumerism were true evils to be cast in parables and shown to the public. Zombies were prophets. Paffenroth suggests that zombies will never become mainstream commodities, but time has shown that even zombies can be bought out. World War Z was a Hollywood extravaganza. The Walking Dead is hardly the domain of outcasts and pariahs. Romero’s monsters were, alas, not more powerful than capitalism. Even zombies can be purchased. Zombies and vampires can indeed earn money, and resurrection itself comes with a price. As the Passover-Easter complex of holidays approaches, our stern, scientific face turns toward the more human sensibilities of religion and its impact on our lives. PBS recently aired the Nova special The Bible’s Buried Secrets (originally aired in 2008) and when a colleague began asking me about it I figured I’d better watch it. As an erstwhile biblical scholar there wasn’t much here that was new to me, but one aspect of the program bothered me. Well, to be honest several things bothered me, but I’ll focus on one. When referring to the gods of the Canaanites, among whom the program readily admitted the Israelites should be counted, they were invariably referred to as “idols.” The problem with this terminology goes back to an issue I frequently addressed with my students—the term “idol” is a way of demeaning the gods of a different religion. Implicit in the word is the assumption of the monotheistic worldview and its attendant problems. The Bible’s Buried Secrets seemed to adopt an overly optimistic view of the monotheistic religions sharing the same god while everyone else worshipped idols. The view is as fraught as it is simplistic. Historically Judaism, Christianity, and Islam are certainly connected. Each recognizes in the others a glimmer of its own theology and outlook, but the concept of deity has shifted somewhat at each development. Judaism and Islam are rather aniconic, especially compared to many varieties of Christianity where images are allowed, or even encouraged. It is difficult to grab the attention of the magazine-reading public with an image of invisibility on the cover. It should come as no surprise that some Jews and Muslims believe Christian images to be, well, idols. The word “idol” is by nature pejorative. Ancient people were sophisticated polytheists. 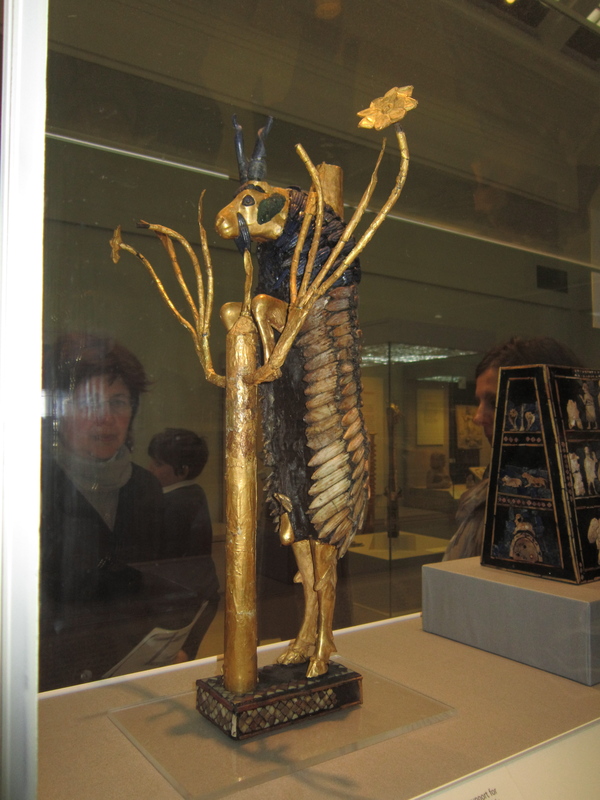 That statue that represented a deity was not thought to be that deity in any absolute sense. Rituals assured the ancients that they were instilling some aspect of divinity into the statues they used, making them sacred in the same way a Christian consecrates a church building. What’s more, it is natural for people to seek a visual focus for its devotion. It is difficult to conceptualize the Almighty as a person without giving it (often him) a body. Islam, especially, has been adamant that this can’t be done, and looking back at Christian practice it is sure to see idols abounding. As the holy days begin for our vernal celebrations, we should perhaps use the opportunity to rethink such religious vocabulary since every orthodoxy is someone else’s paganism. Stonehenge. The very name evokes mystery and myth. Although archaeology has revealed more about the monument than any mere visual survey, we are still very much in the dark about its origin and purpose. With one exception: we know it was something religious. When we discover artifacts that required a tremendous outlay of human effort in pre-industrial periods, the motivation, according to our current understanding, is almost always religious. Modernity has come to us with a cost. In any case, a recent story in The Guardian highlights the view of Julian Spalding, erstwhile museum director, that Stonehenge might have housed a platform on top of which the real action took place. As might be expected, experts disagree. With its precise solar alignment, one wonders if a roof might have been superfluous, but then again, there is the sky. When I begin to feel depressed working in the belly of a concrete bunker with no windows, indeed, no view of the sky at all, I find my way to a room with a view of the outside. I’ve always had a celestial orientation, and looking at the sky—especially on a day with some blue showing—can cure my sadness in a way almost supernatural. I suppose that was part of the reason I wrote Weathering the Psalms; there is just something about the sky. In that book I couldn’t really verify what it was. I still can’t. 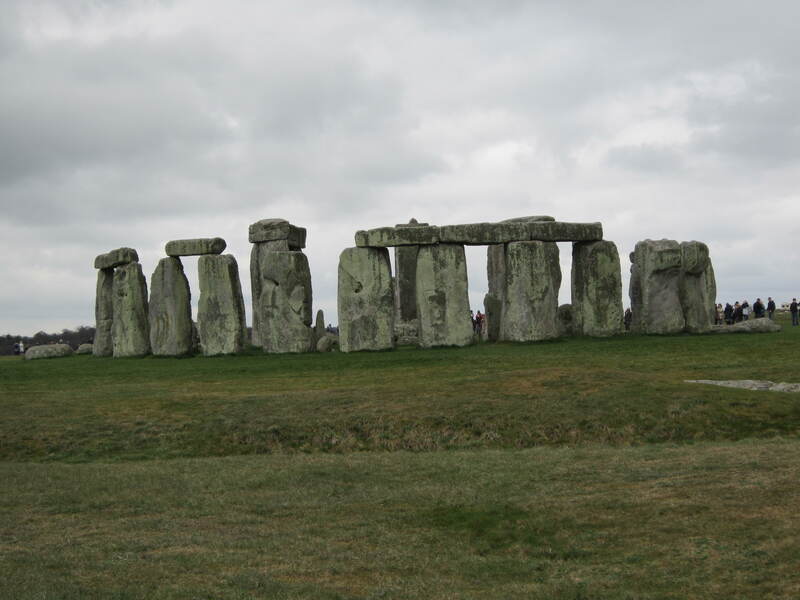 I know it when I feel it, however, and this perhaps the feeling the Julian Spalding is asking us to explore at Stonehenge. Ancient people directed their worship upward, not toward the ground. Like all universal statements, however, there are exceptions. Some ancient religions recognized our place as children of the earth. The celestial sphere, however, is part of the package. Our atmosphere makes our world habitable. While the moon is beautiful and Mars inspires wonder, their lack of air spells their hostility toward those who need to breathe deeply and look up into the blue once in a while. Almost Frazerian in its archetypal view, Spalding’s idea has a beauty of its own, whether or not the evidence bears it out. People of ancient times had a talent we lose in our cubicle-infested, results-obsessed world. We all exist because of the atmosphere above us. And when modern views become too much for me, I head outdoors where, sun or not, I find my solace in the sky. It was an object of wonder. Handed to me as a child, the Bible inspired a kind of awe reserved for the big events of a young life. Here were the very words of God, in King James English, for me to read, mark, and inwardly digest. Well, at least read. And read I did, as only the fear of Hell is able to motivate an impressionable psyche. When a parish minister saw the trajectory of my life, he suggested exploring the ministry. More Bible reading ensued. With only Halley’s Bible Handbook as a guide, interpretation was largely a matter of what the minister said, and the kind of primitive reason that resides in a teenager’s head. 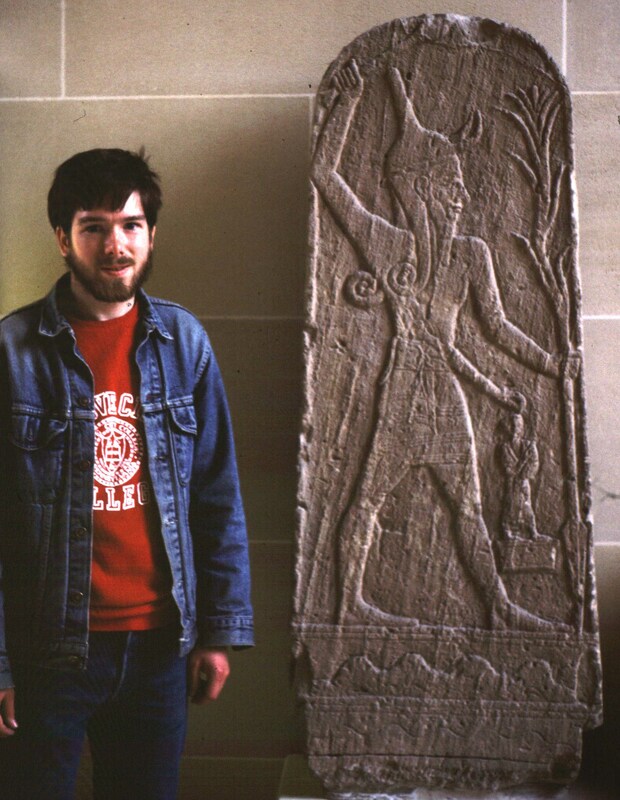 I made it through college as a religion major without ever hearing about Mesopotamia’s influence on the Bible. Once I did hear, in seminary, it was clear to me that to get to the truth, you had to go back beyond the first page. Mesopotamia was only part of the story. The Bible was a book compiled in a region where other religions shared concepts, deities, and stories with the Israelites. While unique in some respects, it turns out the Bible wasn’t as unique as I’d been led to believe. Mesopotamia, vying with Egypt, was the true cradle of the civilization that gave rise to who we are in the western world. Perhaps in the eastern hemisphere as well. The great cities of Sumer, and later Babylonia and Assyria, yielded cuneiform tablets and other artifacts that insisted we widen our view of antiquity. The heirs of this tradition developed Judaism, Christianity, and Islam. All three monotheistic religions have bred sects that despise this ancient past with its uncomfortable truths, and thus we hear of IS destroying the evidence with abandon. The years of my life spent studying these cultures disappears so quickly under the bulldozer’s blade. For all this, it is IS that is the passing fancy. You can’t destroy the truth. You can damage it, however, to the detriment of everyone. Political regimes, and not just in the Middle East, operate with an unbecoming arrogance when they believe in their own self-righteousness. Were it not for those who wondered what these wedges on clay meant, we might still have to reckon (more seriously than we already have to do) with those who insist that it’s the Bible way or the highway. Unfortunately, it often takes disasters such as this wanton destruction of the past to wake the media from its lethargy concerning the cultures that gave our religions birth. There’s so much more to distract. The world can’t make up its mind about the color of a dress, and meanwhile those backed with a justification of true belief destroy that which can never be replaced. Given the rhetoric of political leaders even here, I suspect that our past is no longer safe, no matter where we house the artifacts bearing witness to the truth. If you take a train along the Raritan Valley Line en route to New York City, you will see many of the less highly regarded sights of New Jersey. The properties along the rails are often industrial and neglected. Graffiti abounds. On one particular concrete underpass is a truly monumental graffito reading “Paint the Revolution.” Since I can’t afford to take the train on a regular basis, seeing that prophetic line is a rare occasion for me, and it always casts me in a reflective mood. No doubt injustice has become deeply entrenched in our society where politicians are synonymous with distrust and wealth is carefully corralled by a passing insignificant number of individuals. These thoughts recurred as I was reading about Rasta, the religion that developed in 1930s Jamaica, and is now found throughout the world. Perhaps the most rewarding aspect of being an editor is exposure to new ideas. Of course, anyone can achieve this by reading, but as a person whose job is to find new books, an editor often has to go beyond passive, to active reading. 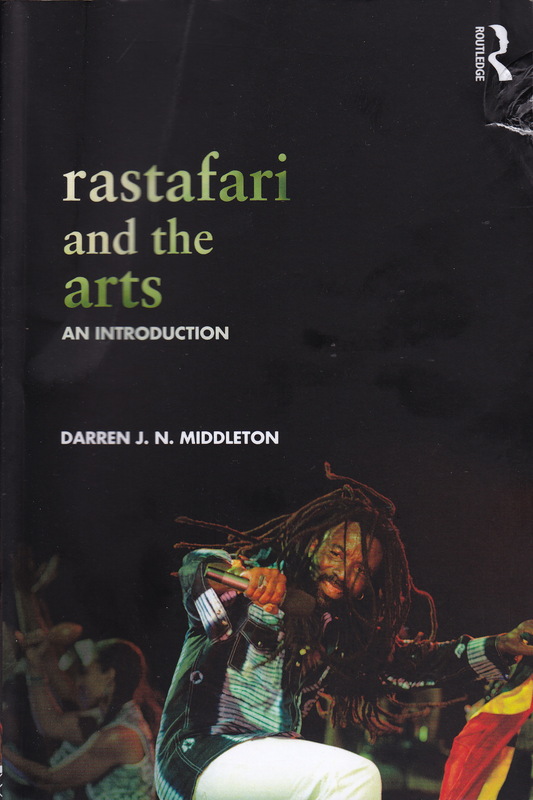 So it was that, while at Routledge, I came to Darren N. J. Middleton’s Rastafari and the Arts. I immediately fell for it. I’d read about Rasta before, but Middleton’s use of art as a means of exploring the religion was captivating. Now that his book is out, I reacquainted myself with what drew me to the project in the first place. Admittedly, a large part of the draw is the fascination with Rasta itself. While some, perhaps many, would claim that it’s not a religion, Middleton demonstrates pretty clearly that it is, or that it at least has all the hallmarks of one. Moreover, it is a religion profoundly based on the concept of social justice, something that many religions possess in diminishing quantities. The African diaspora led to the development of several new religions as African thought was forced into a mode of accepting Christianity. Among those many new religions, Rasta stands out for its association with a particular musical style, reggae. Of course reggae can be secular, but one of the many insightful observations of Rastafari and the Arts is that the global spread of Rasta often begins as music travels. While reggae is generally identified by its musical style, it is also noted for having a heavy dose of social consciousness. People who’ve been oppressed, no matter what their race, often express their victimhood in their arts. Not particularly numerous, and certainly not politically powerful, Rasta has been painting its own revolution. That revolution is associated with peace and love, and, in a way almost unique among belief systems, its music.